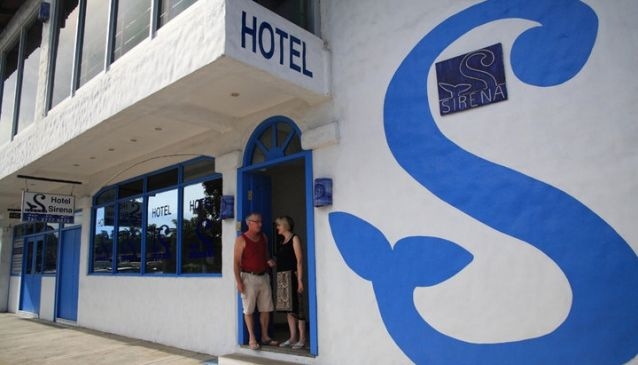 La Sirena Hotel is a boutique hotel conveniently located in the center of Quepos, Costa Rica .Your stay at the newly renovated Costa Rica Hotel Sirena puts you right in the center of the action. The guests are able to enjoy the amazing tours and activities in and around Manuel Antonio National Park by day and the variety of restaurants, shopping and bars of Quepos's Marina District by night. No matter what your interest, it offers special packages priced to include the tour of your choice for each day you spend with us. The hotel is familiar with the experts in all of the Costa Rican adventures that are available. Some of the more popular activities are world-class sportfishing, diving or surfing. Excellent white water rafting or kayaking is available as well as canopy tours, rain forest exploration and more .